A Memoir by Nevin Hurst. (West Hobart, Tas. : Knocklofty Press, 2007). This case of disambiguation of names associated with photographer Thomas J. Nevin’s family is more interesting than any other. 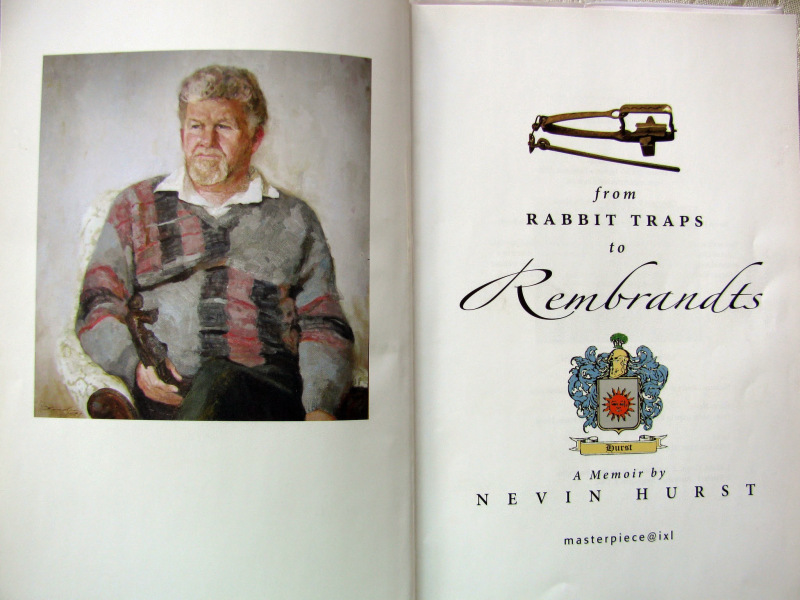 A living descendant of the Hurst family in Tasmania, namely fine arts dealer William Nevin Hurst, who calls himself simply Nevin Hurst, (Masterpiece Gallery, Hobart) has maintained a family connection to photographer Thomas J. Nevin (his phone call to a grand son of Thomas Nevin, emails to this blog), but this claim appears to be based not on a genetic relationship but rather a friendship relationship between two neighbours at New Town Tasmania – photographer Thomas J. Nevin and Nevin Hurst’s paternal ancestor, North West coast surveyor John Hurst. The Nevin family home, built by Thomas’ father John Nevin snr ca. 1858, was located on land in trust to the Wesleyan Church on an acre above the Lady Franklin Museum, Ancanthe, Kangaroo Valley, New Town. The Nevin and Hurst families were not only neighbours in New Town Hobart; they both had historic family connections to Grey Abbey, County Down, Ireland, where John Nevin was born in 1808, and joined the Royal Scots 1st Regiment of Foot in 1825. He died at Kangaroo Valley in 1887. John Hurst’s father was James Hurst, a surveyor, born Grey-Abbey, Co. Down Ireland (no date) who held the lease for the Salt Water Coal Mines, Tasman Peninsula from 1858 and died in Hobart in 1876. His widow Eliza was born in 1814, died Hobart, 1902 (see gravestone below which was probably erected on her death). Establishing facts about the Nevin-Hurst connection has proved difficult because of the rather amusing tendency of living descendant Nevin Hurst, of Masterpiece Gallery, to claim to be related to many people in his memoir, including American newspaper magnate William Randolph Hearst who built the nation’s largest newspaper chain and whose methods profoundly influenced American journalism. Surveyor John Hurst married Louisa Tatlow on 27th November 1862. The marriage was registered at Port Sorell, a town on the north-west coast of Tasmania on the waterway of the same name, just off Bass Strait, 20 km east of Devonport.His wife Louisa Maria Tatlow was born in 1841 to parents Anthony Tatlow, listed as “Gentleman” and Mary Moore; their daughter was baptised at St Johns, Launceston. On the 11th April, 1868, Louisa Hurst, formerly Tatlow, gave birth to William Nevin Tatlow Hurst in the district of Hobart. His father’s occupation was listed as “surveyor”. 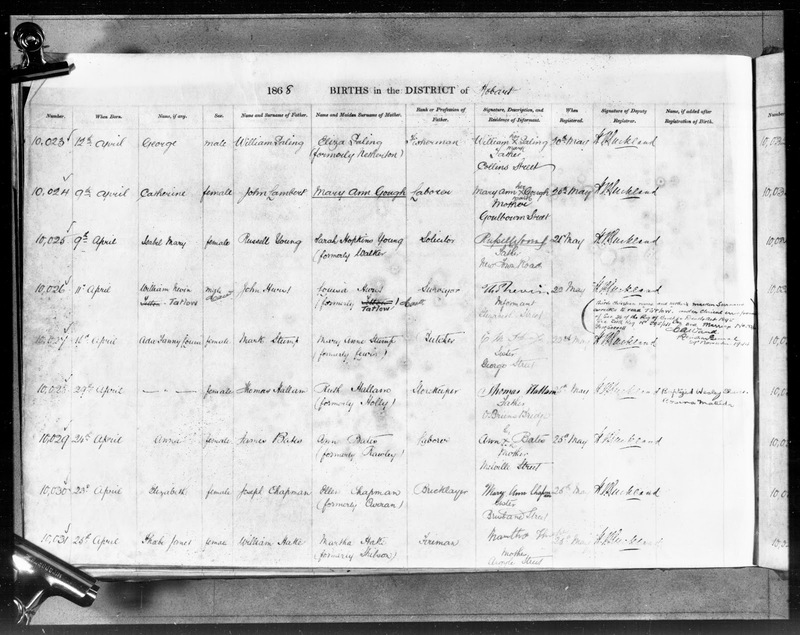 Their son’s birth was registered on 22nd May, 1868 by Thos Nevin, informant, Elizabeth St., where Nevin was operating from Alfred Bock’s former photographic studio at 140 Elizabeth St. Hobart Town. Neither parent was named “Nevin”, either as the mother’s maiden name or the father’s middle name. Yet the child was given “Nevin” as a middle name along with his mother’s maiden name “Tatlow”. 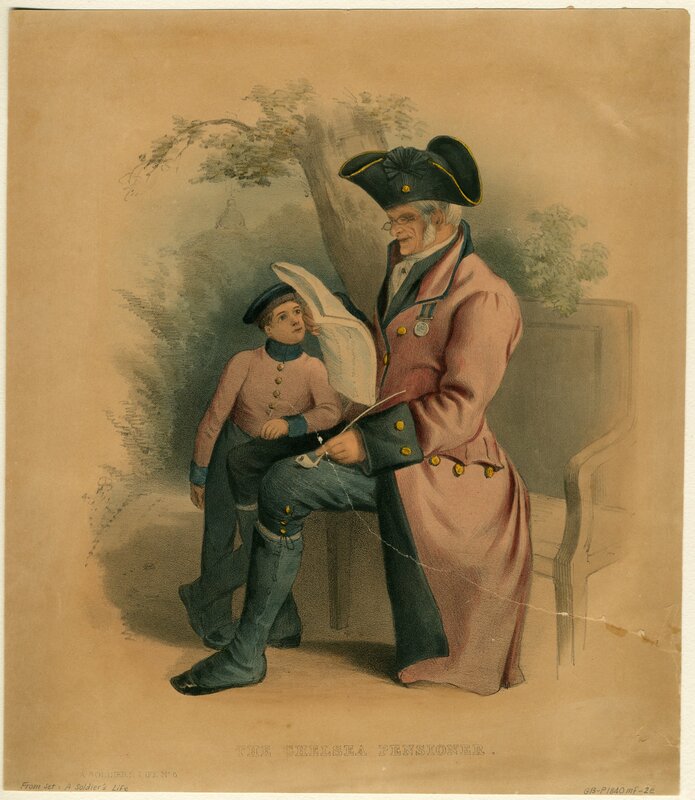 As a surveyor, the father was most likely absent from Hobart on business, and requested Thomas Nevin to register his son’s birth at the Town Hall. 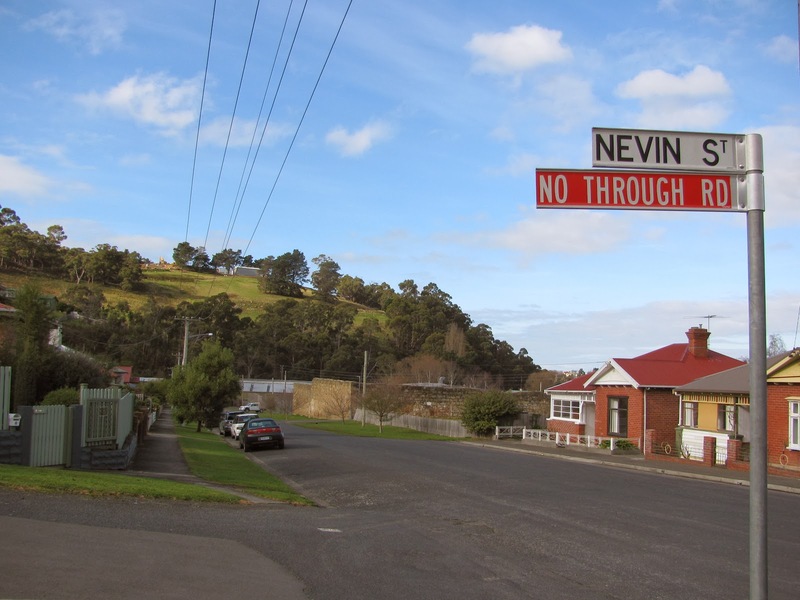 This is the reason the name “Nevin” appears for the first time in the Hurst family of Tasmania, as a gesture towards to the family of John Nevin snr and his son Thomas J. Nevin, and for no other reason. Thomas Nevin’s signature on this document of William Nevin Tatlow’s birth carries his usual abbreviation of “Thos” and flourishes, but minus the “Jas”, of “James”, his middle name. 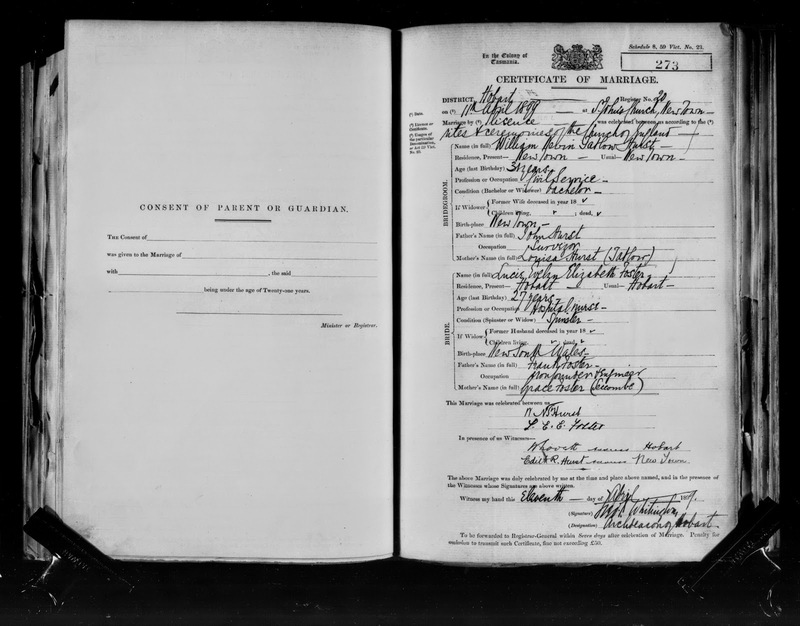 It is similar to his signatures on his marriage certificate 1871, and the birth registrations of his children 1872-1888. 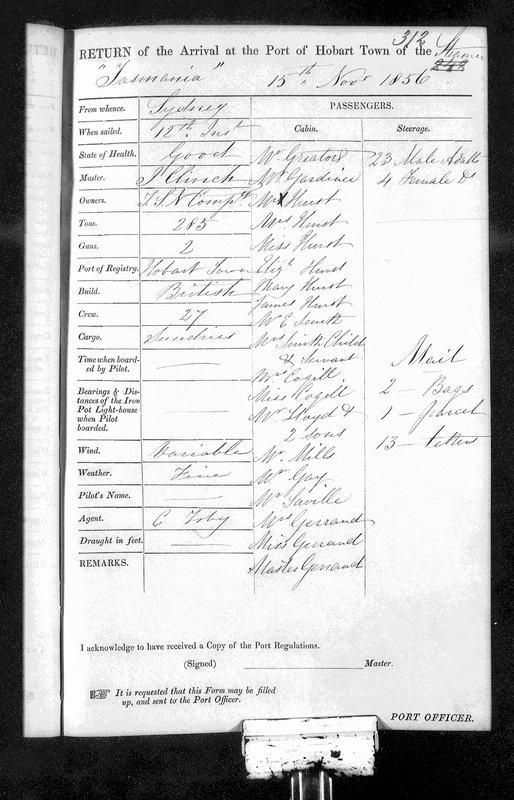 Birth registrations for two of their seven children, 1872 and 1876. 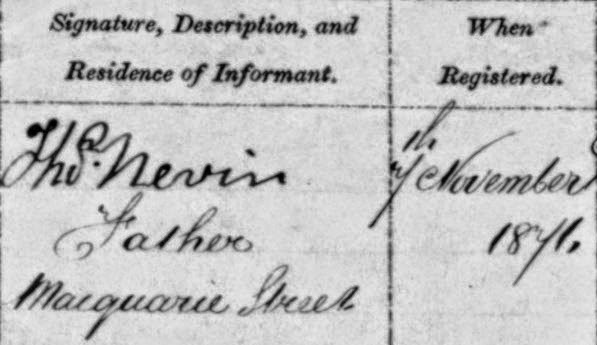 Detail: 1868 – signature of Thos Nevin, informant, on the birth registration of William Nevin Tatlow Hurst, 22 May with additions and note in parentheses. 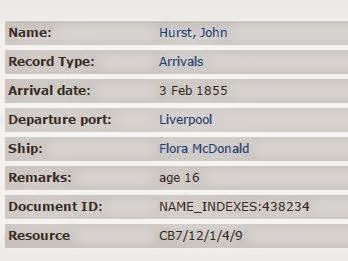 Wherever Surveyor John Hurst may have been during 1868 that caused his absence when Thomas Nevin registered the birth of Hurst’s son, he was on the run from the New Zealand police by October 1870. He was working in New Zealand in the county of Westland when he absconded with a sum of money. A charge on warrant for embezzlement was issued, but he supposedly eluded the NZ police, and was believed to have made his way to Melbourne by May 1871, and thence to Tasmania. 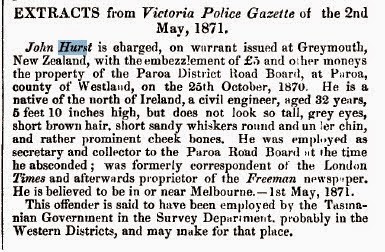 This extract from the Tasmanian police gazette of 2 May, 1871, reprinted from the Victoria Police gazette, not only details the charge, it gives a clear physical description of John Hurst, plus his former business interests as a journalist and newspaper proprietor. These aspects of John Hurst’s background further imbricate the Hurst family and John Nevin and his family of Kangaroo Valley Tasmania, both formerly of Grey Abbey, Ireland, in several instances. Firstly, both John Hurst and John Nevin snr were journalists, the former a correspondent with the London Times, the latter a war correspondent during the Canadian Rebellions. 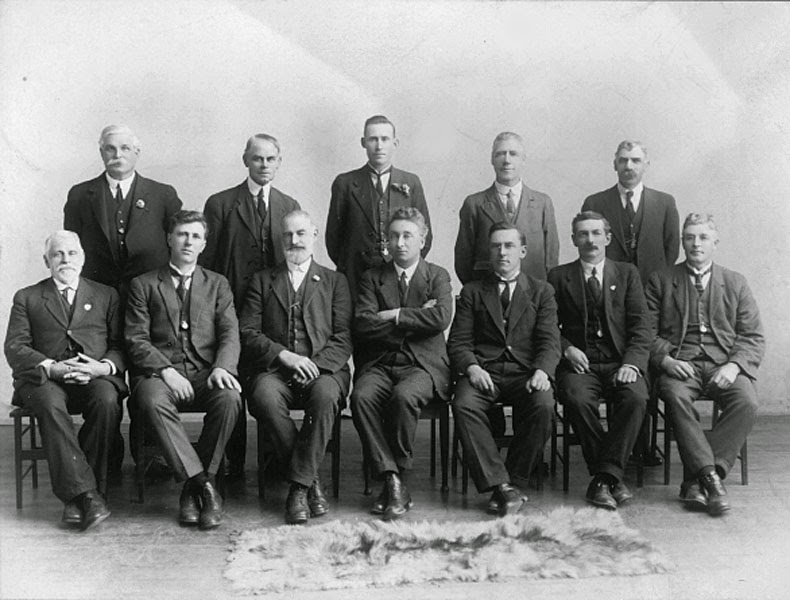 Secondly, the Nevin family solicitor and Attorney-General W. R. Giblin, who would have authorised the warrant for John Hurst’s arrest, especially as Hurst was a former employee of the Colonial government’s Lands Dept., would have alerted John Nevin’s two sons – brothers Constable John Nevin and photographer Thomas Nevin, both serving the Territorial and Municipal Police, to inform him in the event of John Hurst returning to his family in New Town. 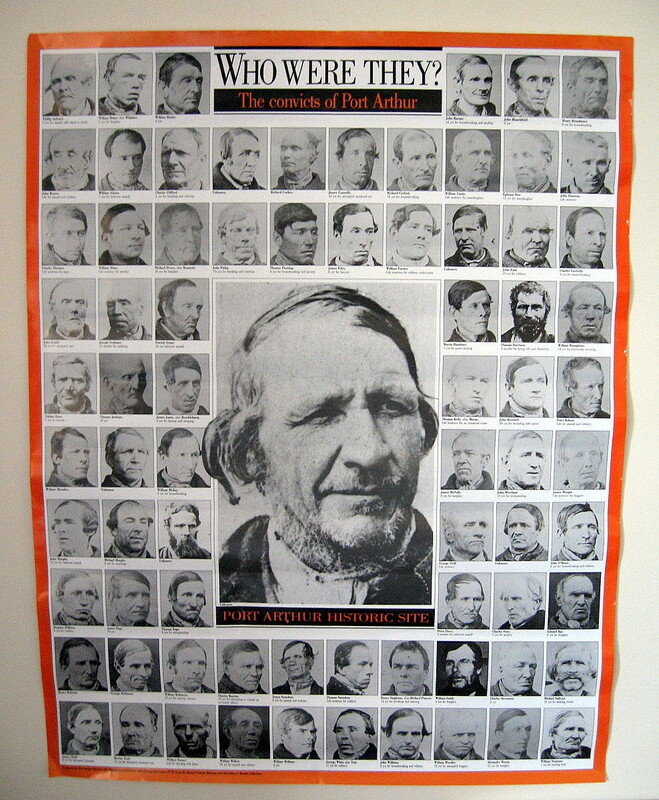 Whether John Hurst was acquitted or convicted is not clear, unless he was arrested in Victoria and charged, in which case the Victorian Public Records Office would hold those details; the Tasmanian police gazettes record no other notice about his being apprehended in their jurisdiction during the next decade. 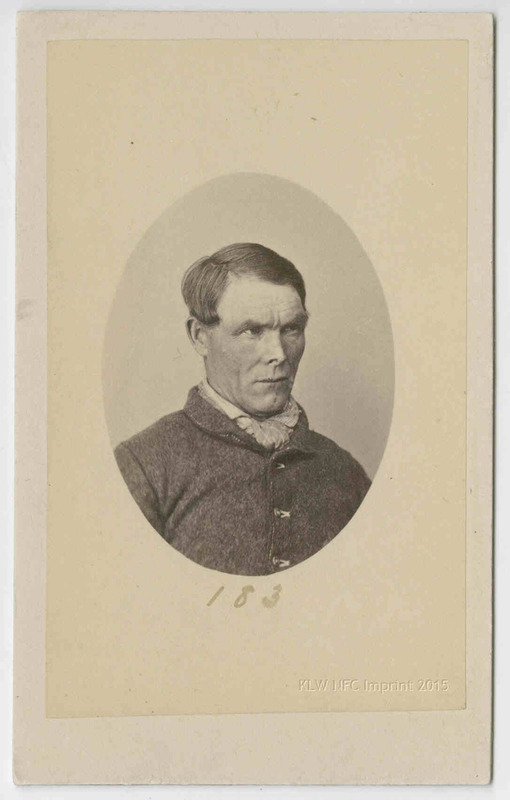 John Hurst is charged on warrant issued at Greymouth, New Zealand, with the embezzlement of £5 and other moneys the property of the Paroa District Road Board, at Paroa, county of Westland, on the 25th October 1870. He is native of the north of Ireland, a civil engineer, aged 32 years, 5 feet 10 inches high, but does not look so tall, grey eyes, short brown hair, short sandy whiskers round and under chin, and rather prominent cheek bones. He was employed as secretary and collector to the Paroa Road Board at the time he absconded; was formerly correspondent of the London Times and afterwards proprietor of the Freeman newspaper. He is believed to be in or near Melbourne. – 1st May, 1871. This offender is said to have been employed by the Tasmanian Government in the Survey Department, probably in the Western districts, and may make for that place. William Nevin Tatlow Hurst dropped the middle name “Tatlow” from all official documents, and as early as 1877. 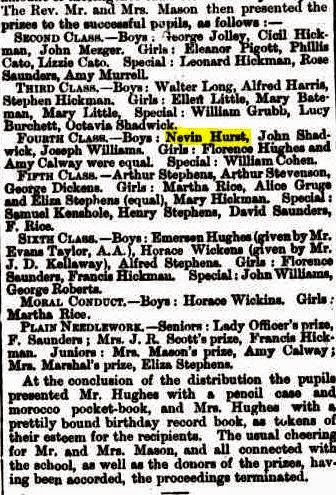 Enrolled at the New Town Public School as William Nevin Hurst minus the middle name “Tatlow”, he was awarded a prize as a fourth form student, published in The Mercury, 24th December 1877. He was nine years old. 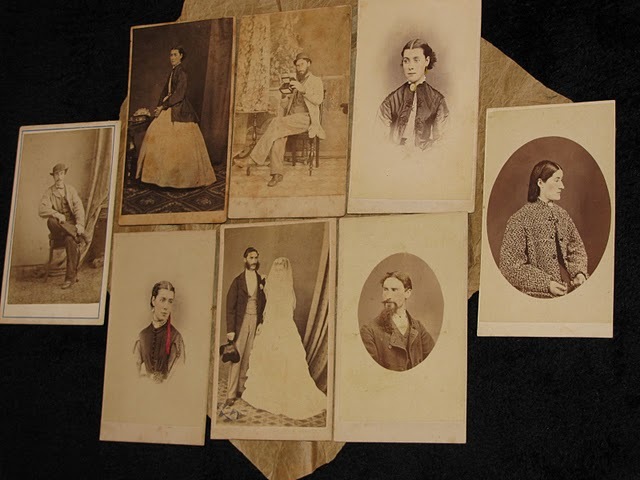 In same year, on May 3rd 1877, William Nevin Hurst’s unmarried aunt, Mary Hurst, sister of surveyor John Hurst, was a witness at the marriage of Mary Anne Nevin, Thomas Nevin’s younger and only surviving sister, to seaman John Carr at the Wesleyan Chapel, Kangaroo Valley. She was a school teacher who had applied to the Education Board in 1865 to establish a school at Kangaroo Valley with the support of Morton Allport. 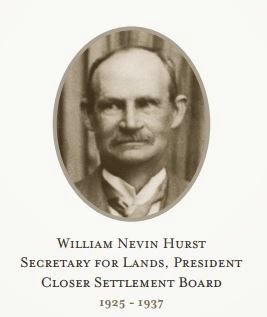 William Nevin Hurst may have been one of her pupils at either school. 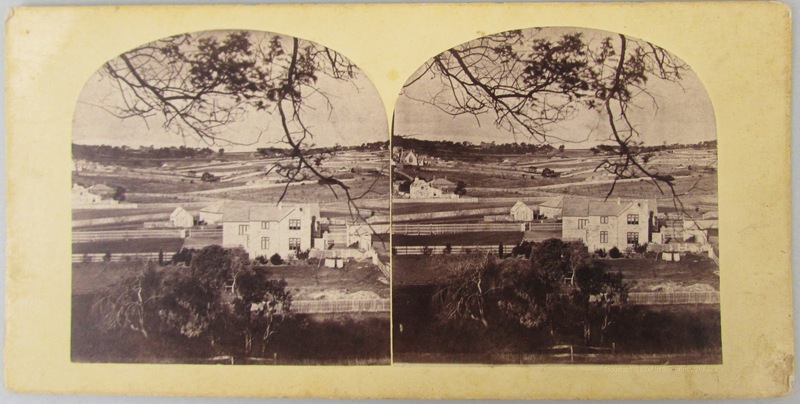 Thomas Nevin photographed the New Town Public School on several occasions in the early 1870s, printing his images as a series of stereographs (held at the TMAG). In retrospect, when Thomas Nevin registered the birth of William Nevin Tatlow Hurst in 1868, he might have suspected that the child would follow in his grandfather’s and father’s footsteps, training first as a draughtsman, then surveyor, and becoming eventually the Tasmanian Surveyor-General and Secretary for Lands. William Nevin Tatlow Hurst married Lucie Evelyn Elizabeth Foster, hospital nurse, exactly 31 years to the day he was born, i.e. on his 31st birthday, 11th April 1899 at St John’s Church, New Town. 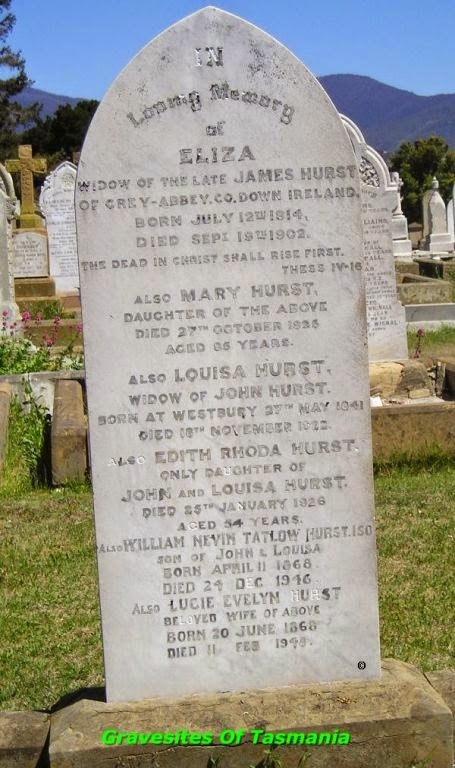 Also Louisa Hurst Widow of John Hurst born at Westbury 27th May 1841 Died 18th November 192? The second suggestion sent to this blog by Nevin Hurst (12 June 2012) to claim a family relationship to the Nevin family was that ELIZA, widow of James HURST – the head name on the gravestone – was John Nevin snr’s sister, but no evidence was submitted for that claim and that too has been discredited. James Hurst died in 1876. 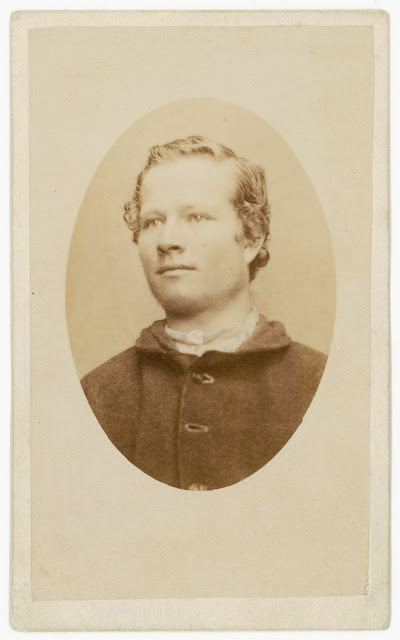 He held the lease of the Salt Water Coal Mines on the Tasman Peninsula from 1858 to his death in 1876 (Bullers, Flinders University, 2005).Two passengers arrived in Hobart on 3rd February, 1855 on board the Flora McDonald from Liverpool – John Hurst, aged 16yrs old, and probably his mother, Eliza Hurst, aged 40 yrs old. 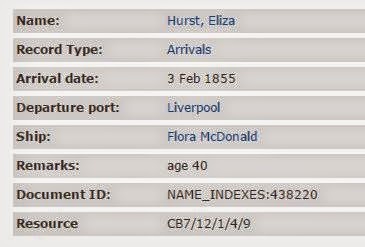 On November 15th 1856, a large Hurst family of six of arrived in Hobart from Sydney on board the Tasmania, including cabin passengers Mary, James, Eliza, a Miss, a Mrs and a Mr Hurst. Surveyor John Hurst’s sister, Mary Hurst, born at Grey Abbey, County Down, Ireland, (1839-1925) died at her nephew’s house (i.e. William Nevin Tatlow Hurst’s home), 30 Cross Street, New Town, Tasmania. She apparently never married, or at least, retained her maiden name through to her death. 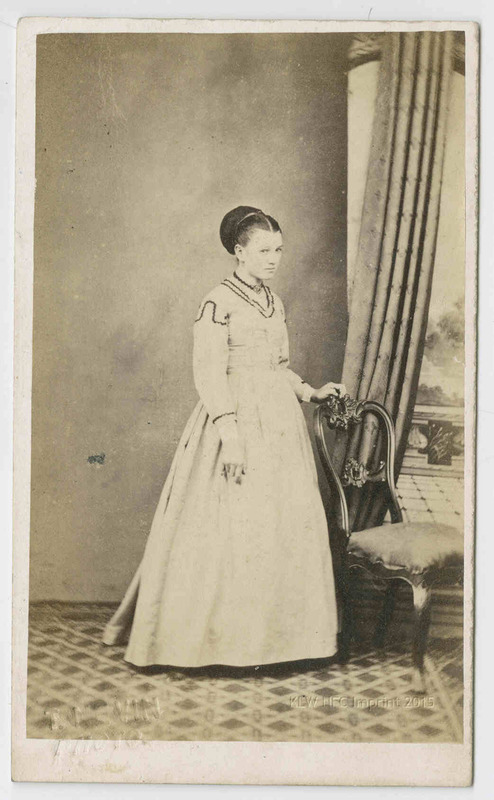 She was a signatory witness at the marriage of Thomas Nevin’s sister, Mary Anne Nevin to John Carr on 3rd May 1877 at Kangaroo Valley, New Town, now Lenah Valley (Ref: RGD37/1/36 no 359. Tasmanian Names Index). HURST.-On October 27, 1925, at the residence of her nephew. Mr. W. N. Hurst, 30 Cross-street, New Town,- Mary Hurst, a native of the County Down, Ireland, in her 80th year. No flowers. 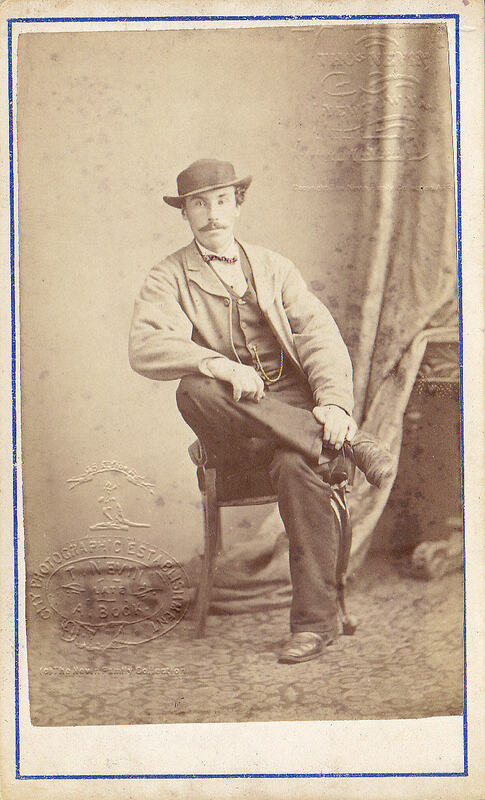 Photographer Thomas J. Nevin may never have envisaged the persistence of his surname NEVIN as a Hurst family middle name well into the second generation when he registered the birth of William Nevin Tatlow Hurst in May 1868 for surveyor John Hurst and wife Louisa Tatlow. Their son William Nevin Tatlow Hurst who married Lucie Evelyn Elizabeth Foster, hospital nurse, exactly 31 years to the day he was born, i.e. 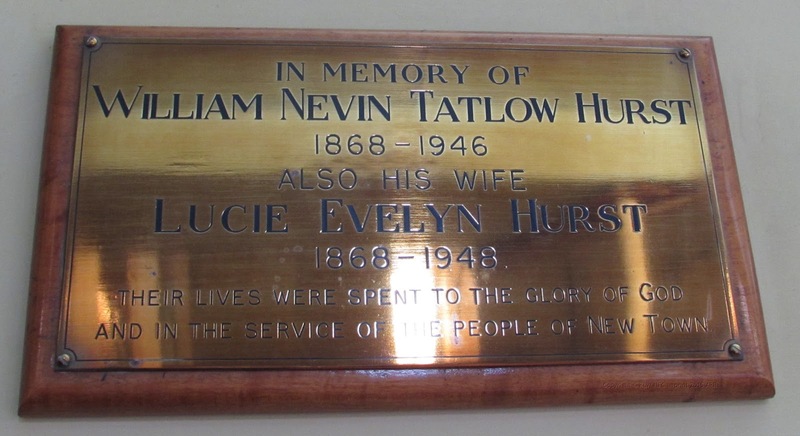 on his 31st birthday, 11th April 1899 at St John’s Church, New Town, had an only son whom they named David Nevin Hurst. He married Pearl Isobel Childs on May 18, 1932 at St. John’s Church, New Town. 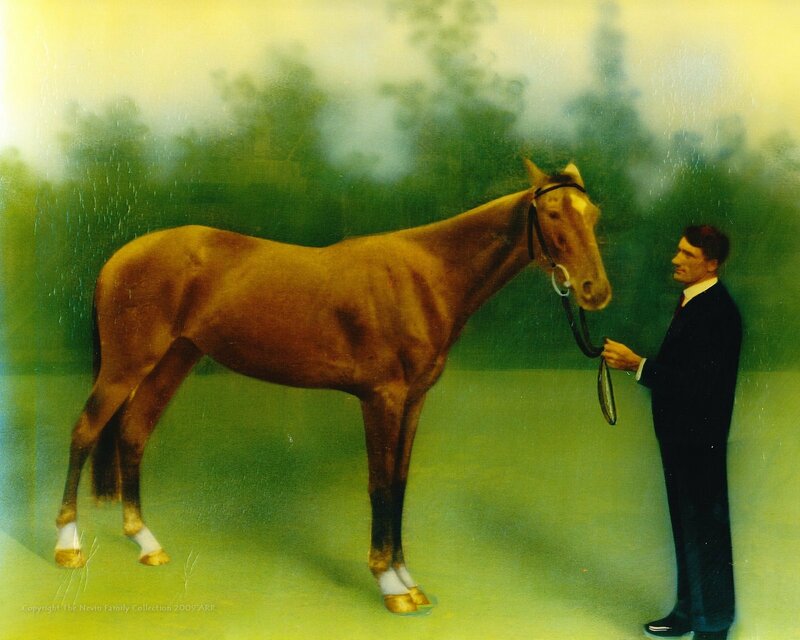 David and Pearl Hurst were the parents of the present Masterpiece gallery owner, (William) Nevin Hurst, who uses his middle name Nevin as his Christian or forename. His claim to a familial relationship to photographer Thomas J. Nevin cannot be justified (he also assumes theatre, film and television performer Robyn Nevin to be his relative), but what can be firmly established is a close relationship of friendship between the Nevin and Hurst families stretching back to their origins at Grey Abbey, County Down, Ireland. HURST—CHILDS.— On May 18, 1932, at St. John’s Church, New Town by the Rev. C. Corvan, David Nevin, only son of Mr. and Mrs. W. N. Hurst, of New Town, to Pearl Isobel, eldest daughter of Mrs. and the late W. B. Childs, of Old Beach. Marriage of John Hurst to Louisa Tatlow, 3 December 1862, Cornwall Chronicle. John Hurst, son of Irish surveyor James Hurst and friend of the Nevin family of Kangaroo Valley, was a surveyor in civil service, but whether he or his son William Nevin Hurst, who became the Tasmanian Surveyor-General, named this street in South Hobart after the Nevin family of Kangaroo Valley is yet to be determined See this article, Nevin Street and the Cascades Prison for Males. No Through Road. Nevin St. South Hobart adjacent to the Cascades Prison. ERRATA: Apologies in advance to the family of Nevin Hurst, Masterpiece Gallery for any errors here.